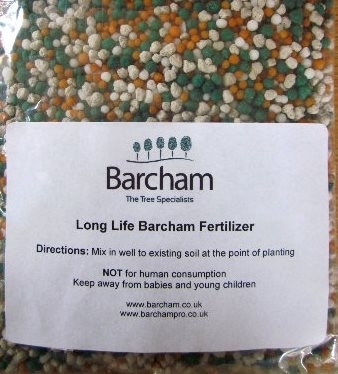 This fertiliser is a Nitrogen, Phosphorus and Potassium mix formulated especially for Barcham for application to planted Barcham Trees. 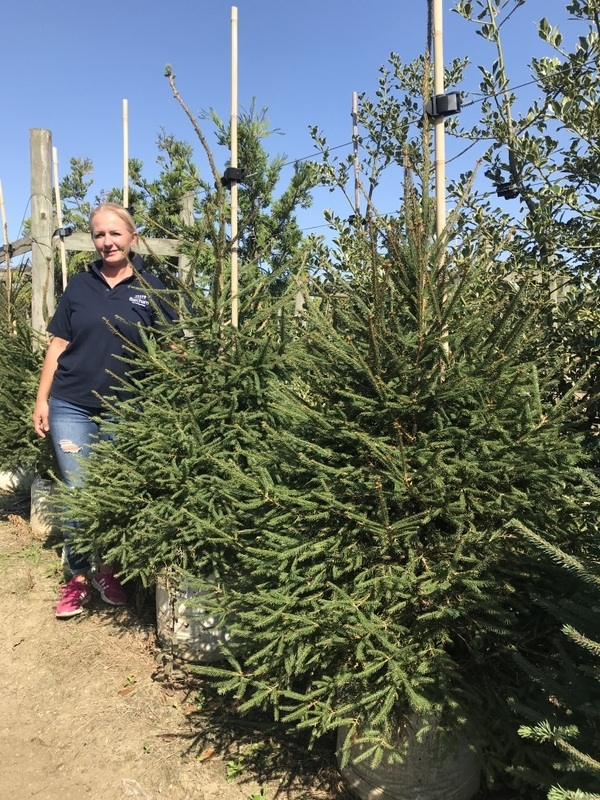 Perfect for applying at the point of planting and top dressing to help give your tree a boost. For use when planting: Mix fertiliser with the soil that will be used as back fill. Use this mix to back fill into the hole when planting the tree. Please see our Home Tree Planting Guide for more information. 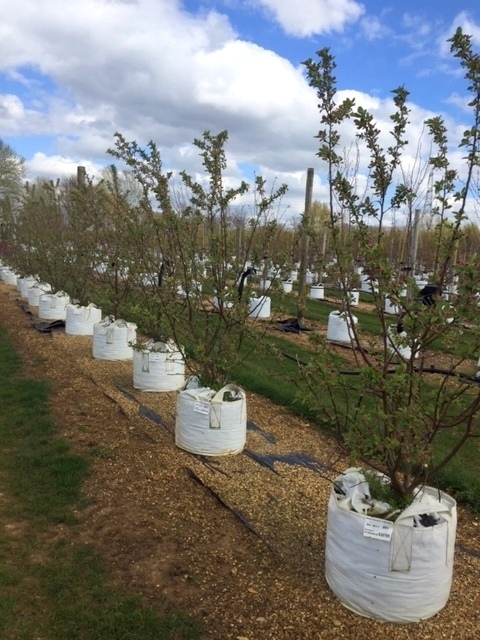 If using to top dress post planting, move the mulch to one side and then distribute the contents of the bag evenly across the base of the rootball and surrounding area, to radius from the trunk of 50cm. Cover the fertiliser area over with the removed bark mulch, or re mulch with fresh mulch, and water in using a watering can with a rose attachment. If the tree does not have a mulch ring, remove grass and weeds from the base of the tree, to a radius of 50cm. Apply the fertiliser as above and mulch with an organic bark mulch to a depth of 5-10cm. 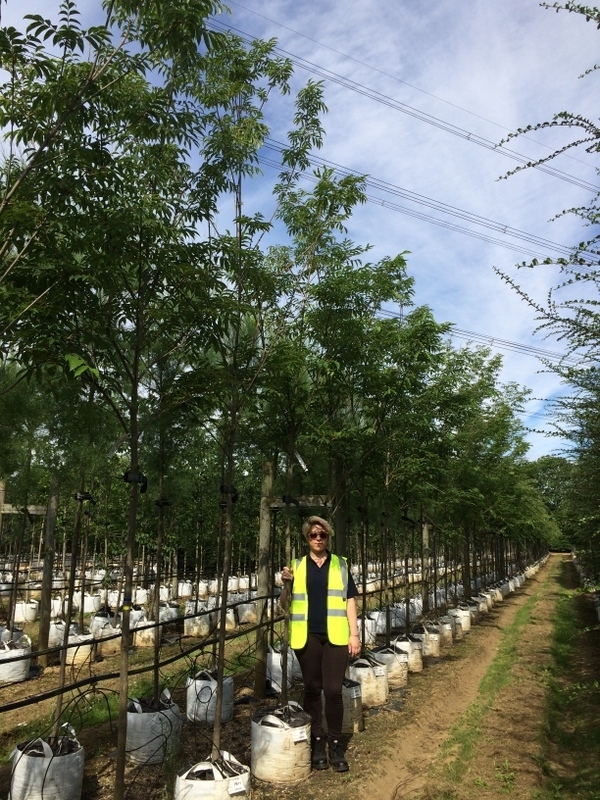 We recommend that all trees benefit from a mulch ring around the base of the tree, even as they are maturing/are mature.